Home furnishing has come a long way in the modern era as a result picking right underfoot furnishing has become quite a task for homeowners. So whether you are gearing up to get your old home renovated or you are planning on constructing a brand new home, choosing the right flooring would surely add to your home’s value and aesthetic appeal. 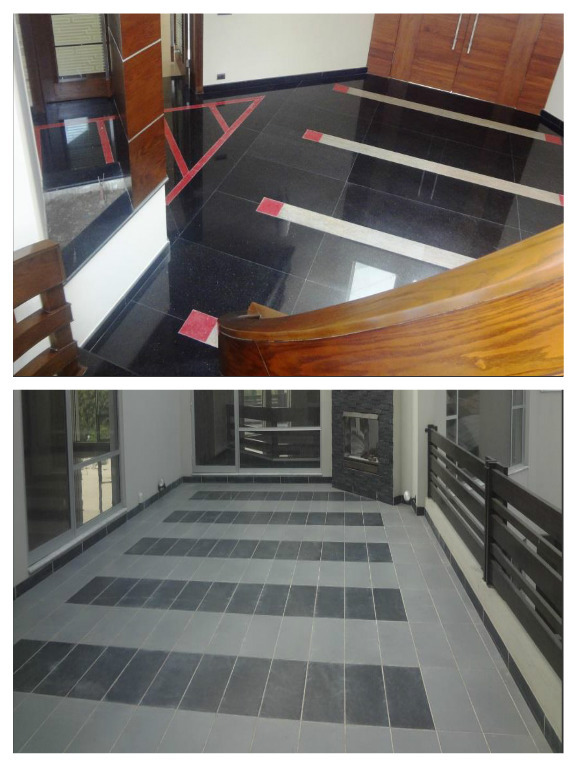 Here are some modern home flooring ideas from one of the top interior decorators in Pakistan, AmerAdnan. If you are fond of carpeting, it’s always a good idea to opt for the best carpets in the town. Talking about carpets does not just mean traditional carpets. There are many types of carpets you can find in the market today, but the two primary type of carpets are woven and the tufted carpets. The woven carpets are manufactured by adopting the conventional looming method. The tufted carpets, on the other hand, are made out of rows of needles that punch the pile yarn into the backing cloth. These carpets can be found in various colors and design patterns to match your requirements. PVC is the most modern kind of flooring that is not only installed in modern homes, but it is also an ideal choice for homes where there are old chips floors that require a whole new touch. The PVC flooring comes in different design patterns and colors to match your aesthetics. There are PVC tiles and artificial wood grains that give 100% natural wood flooring touch. On the other hand, the PVC tiles that looks more like marbles, stones and sometimes even carpets. PVC is one of the most popular type of flooring across luxury homes in Pakistan these days. Followed by the most popular PVC flooring these days are the ceramic tiles. Mostly, the ceramic tiles in off-white shade is the preferred choice for many. These tiles give an awe-inspiring look to a home and are considered a symbol of luxury and class, but they are bit slippery, which does not make them an ideal choice for homes with kids. The durability of ceramic tiles is also a matter of concern as they cannot afford greater shocks. No matter how many styles of carpets, PVCs and ceramic tiles hit the market, marble flooring would always remain in trend. The primary reason behind the popularity of marble flooring is its durability and elegance it offers. The marble flooring can bear heavy shocks, and it never cracks easily. One can use dark black or light brown marble tiles in contrast with the wall colors to make the home look amazing. Hardwood flooring is 100% natural as this type of flooring involves the use of tiles that are made out of natural wood. The best thing about hardwood floors is that they are highly durable and give a breathtaking view to a room. Hardwood floors were quite common in the past, but now a days they have reemerged for good as a classic flooring.